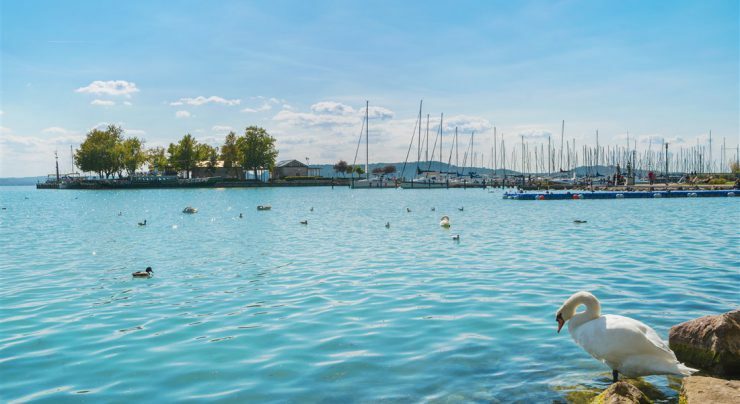 Lake Balaton is one of Europe’s top sailing destinations and it’s prestigious Blue Ribbon sailing competition attracts great numbers of yachting fans. 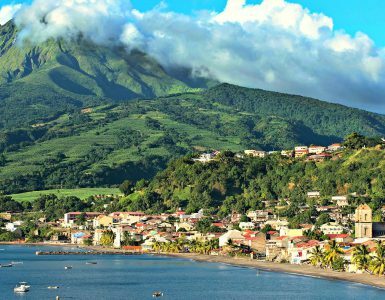 Certainly a destination worth of early booking! Boataround team visited this pearl of Hungary and we’re happy to give you a few insider tips on sailing at Balaton. Surrounded by ancient vineyards, lake Balaton provides an unique sailing experience in the mainland Europe. Only one hour by train from Hungary’s Capital Budapest, the 50 miles long lake with green-yellow water in the middle of Transdanubia is a renown destination for visitors all year round. 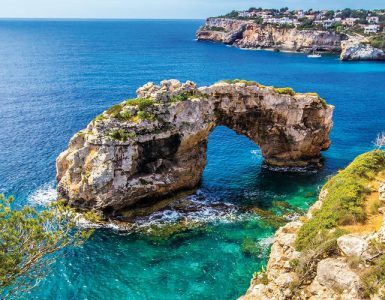 What are the main reasons to travel for sailing to the middle of old continent? Balaton has breathtaking views. 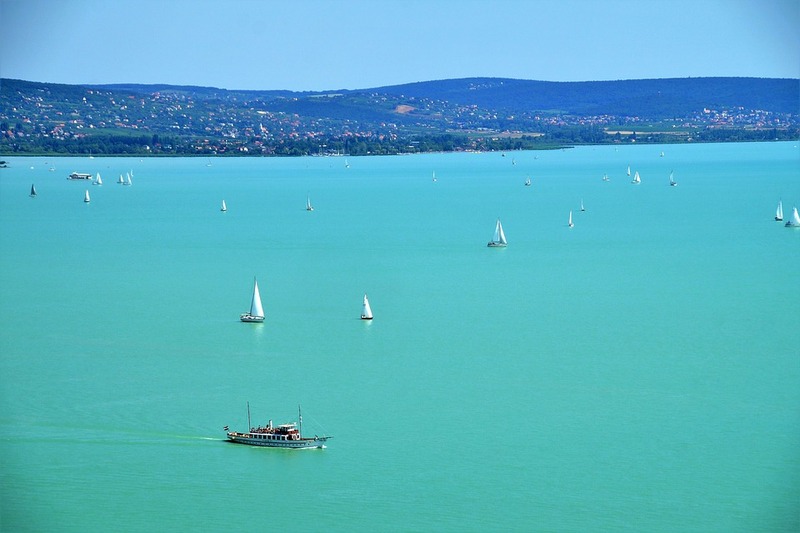 Lake Balaton’s iconic milky green waters are a byproduct of the algae that grows in the shallow waters. Lake itself is almost 50 miles long and over 10 miles wide at its widest point. If you want to get a good look at the lake, you can climb an extinct volcano on the northern shore of the water, near town Badacsony. Visitors can enjoy delicious regional wines. Badacsony region was already cultivating grapes during the Roman empire and its fame culminated in 18th century when this monastic wine rivaled the Tokaji strain. Nowadays, the region offers unique variations on Pinot gris and riesling. You can swim in thermal waters. Europe’s largest thermal lake Heviz is situated on the northern shore near the town of Keszhely. Swimming in 30°C (86°F) sulphuric waters is said to promote healing of rheumatism. Sailing at lake Balaton has its own challenges and exceptions to the rules. In order to charter a boat on lake Balaton, you need the inland sailing licence. 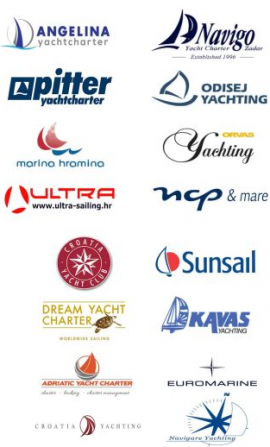 Due to unique kind of water conditions and altogether different yacht traffic, general sea licence might not be suitable for scaling the “Hungarian sea”. Motor can only be used for mooring, entering marina and in case of emergencies. Other than that you have to use sails. No mooring on lake. Bottom of Balaton is very muddy and the boat would definitely move during the night. Almost all boats should be back in marina by sundown. 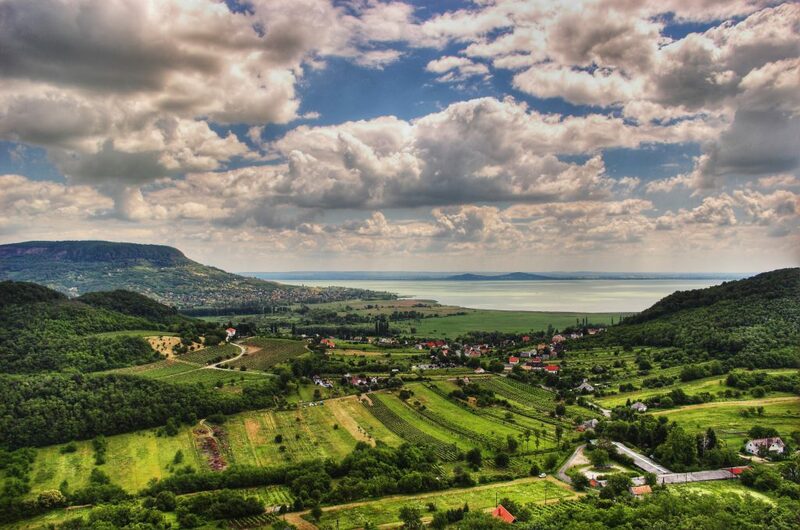 Whether you start with wine-tasting or at the thermal waters, lake Balaton is worth the trip. BalatonSailing app. Provides navigation, port information, naitucal map, weather updates and gastronomical guide of lake Balaton. BalatonSailing app is available for both iOS and Android devices. Navionics Boating app. Detailed cartography for lakes in Central and West Europe. We hope we’ve whetted your appetite for sailing on lake Balaton! See our offer of mid-October boats at Balaton. Despite being frozen over during winter months, lake Balaton has a lot of activities to offer to adventurous visitors at that time as well. For example – ice sailing on the frozen lake (see the video below). Zuzka loves travelling and enjoys sunny days spent at sea. She writes for Boataround blog and helps to make reservations easier. ✅ Great companies. Huge savings! Boataround Blog is owned and operated by Boataround, the number one yacht booking site. www.boataround.com.